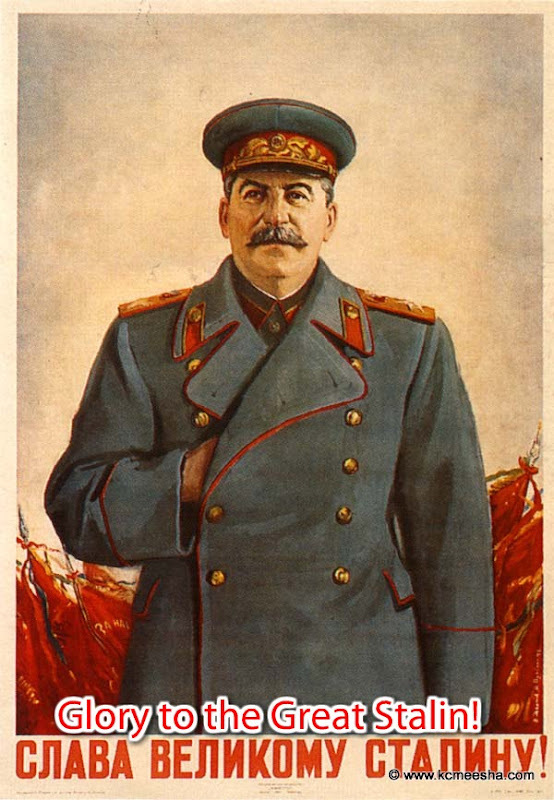 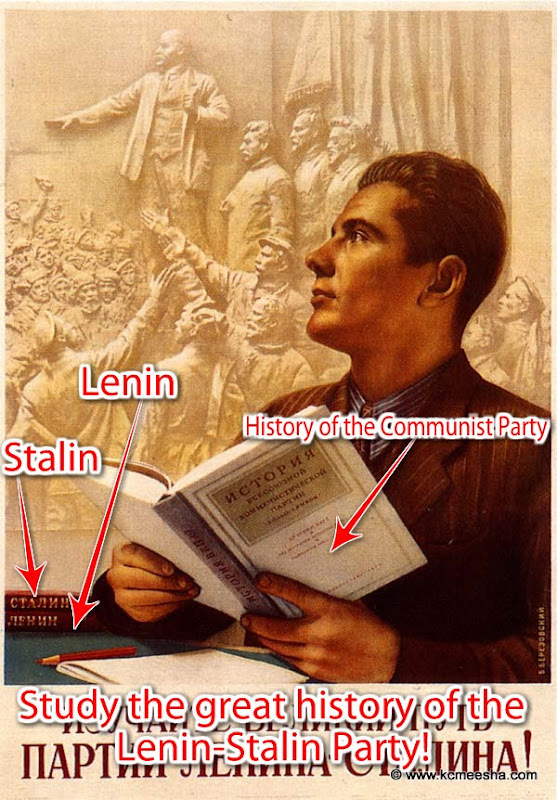 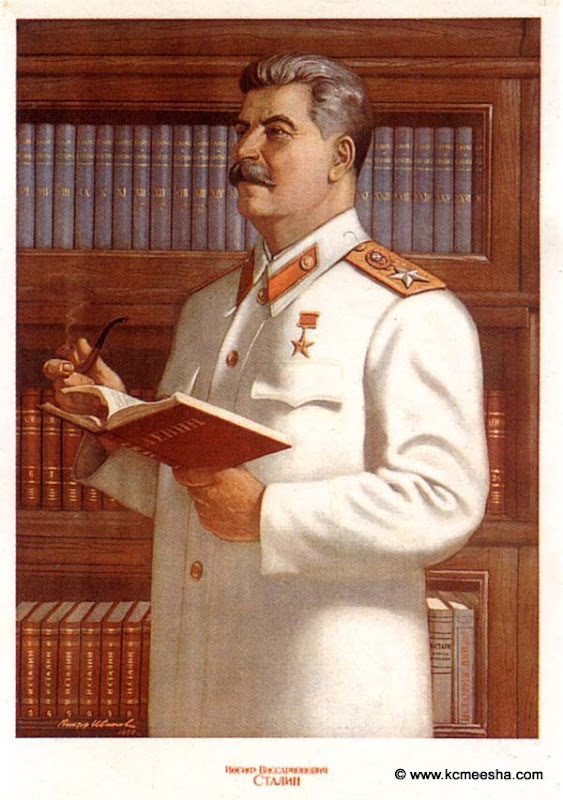 JJSinKCK asked me how Stalin was portrayed in the Soviet history books. 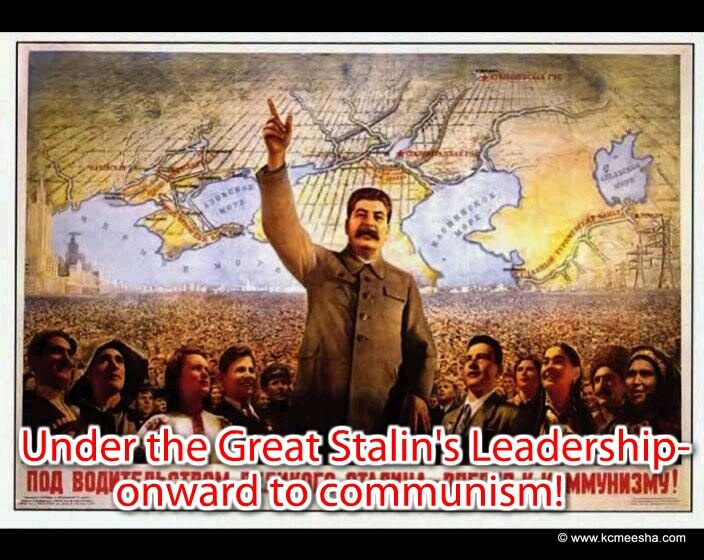 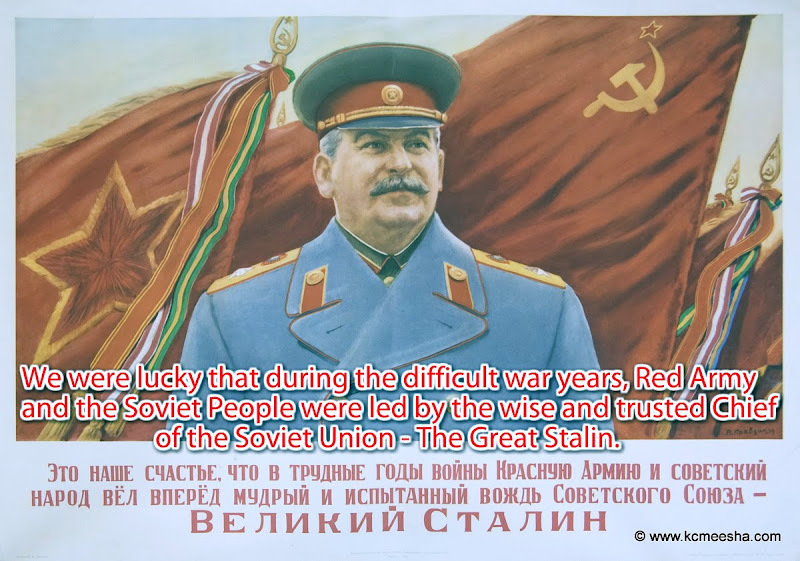 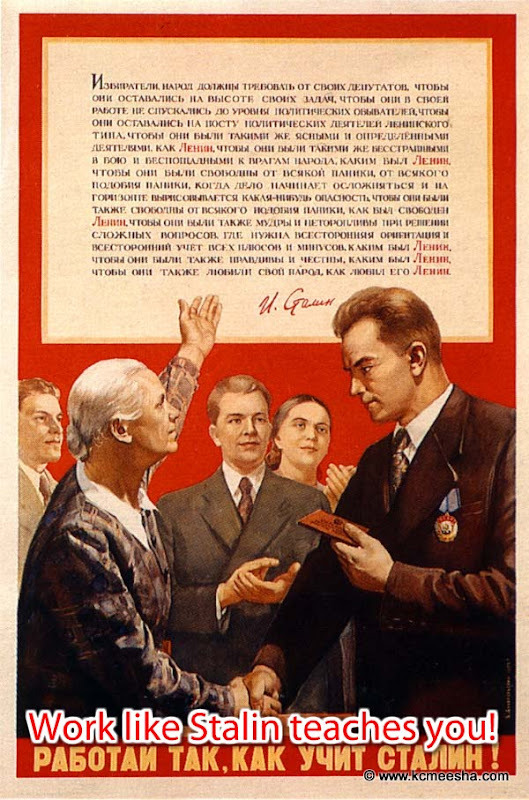 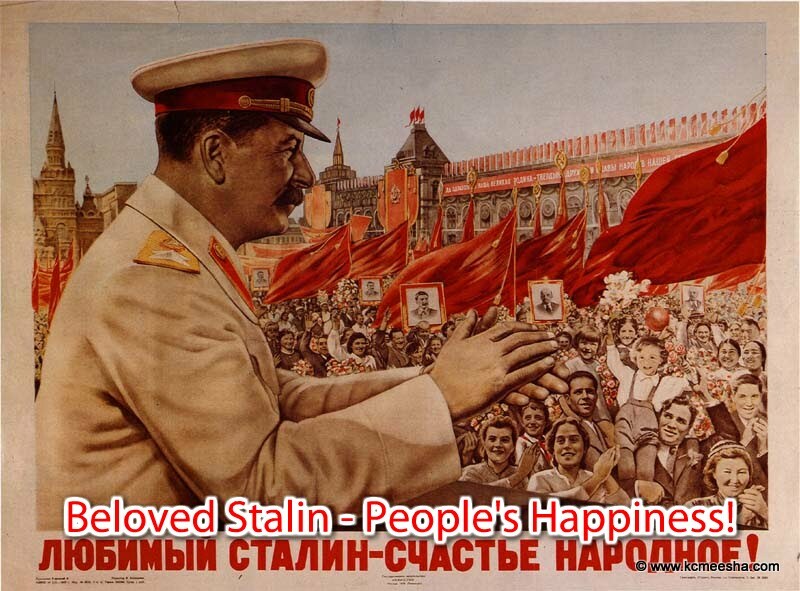 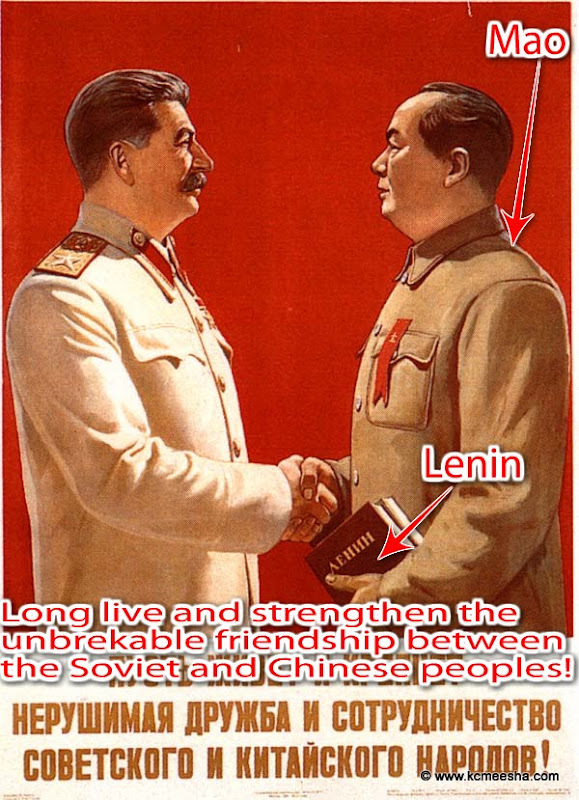 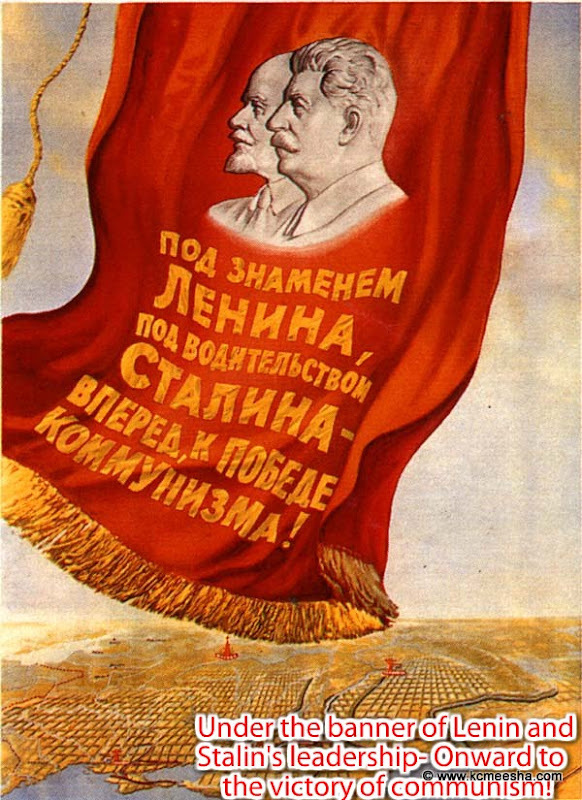 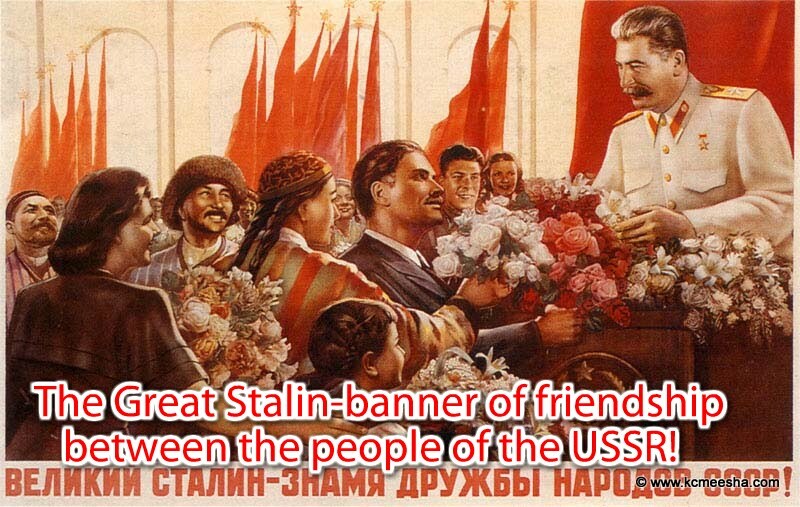 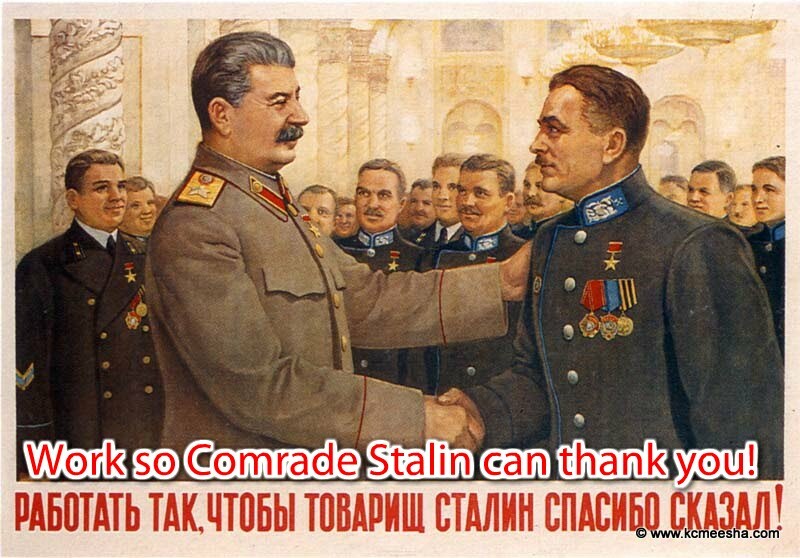 Instead of a thoughtful answer I picked out and translated some of the propaganda posters, commonly displayed during the Stalin era. 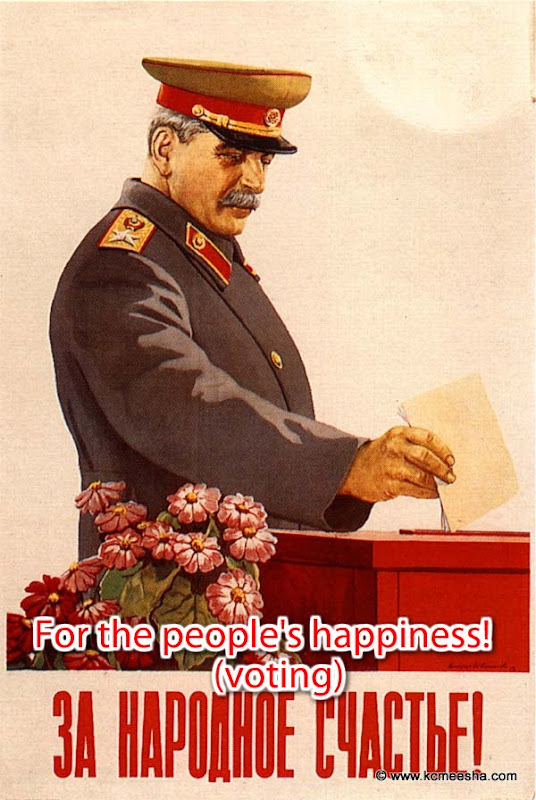 The last one is a contemporary take on the old propaganda.